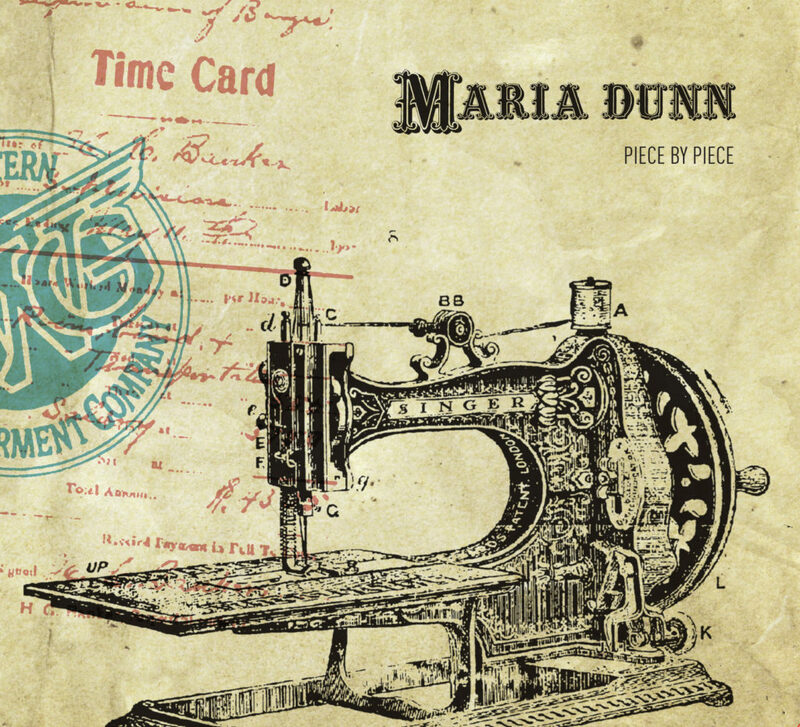 Maria Dunn’s fifth CD, Piece By Piece, (Nominee - 2013 Canadian Folk Music Awards; distributed through Outside Music) was officially released in Canada on September 18, 2012. Recorded at Homestead Recorders (Edmonton, Alberta) and produced by Shannon Johnson (Juno award winner with The McDades for 2007's Bloom), the 8 songs on Piece By Piece acknowledge and celebrate the resilience and grace of immigrant women working at a Canadian clothing factory over its 93-year history. Along with videographer Don Bouzek (Ground Zero Productions), her collaborator on the original GWG: Piece By Piece multimedia show, Maria consulted with historian Catherine C. Cole and tagged along as Catherine interviewed women who worked at GWG. Having studied the factory’s early history in graduate school, collected artifacts over several years and worked towards writing a book entitled “GWG: Piece By Piece” (Goose Lane Publishing), Catherine had extensive knowledge of the factory’s work environment that gave her an excellent rapport with the interviewees. Stylistically, Maria’s previous four recordings have melded North American roots music with influences from her Scottish-Irish heritage. With Piece By Piece, Maria weaves in musical inflections and instrumentation that reflect the countries of origin (Italy, India, Vietnam, Ukraine) of the women who inspired the songs. Locally inspired, the songs are universal in theme—immigration, work, family, hope for a better life--and range from I Cannot Tell You, a poignant description of one refugee’s loneliness in her new country to Speed Up, an exuberant call-and-response work song. Blue Lung hauntingly commemorates a worker who died of lung disease, while Shareholders’ Reel sparkles with the humour and tenacity of a union representative--with a nod to Ukrainian dance music. The recording finishes with Farewell, a sitar, tabla and string-fueled homage to the community and friendship of the women, even as their workplace is closed. Good News in Radio and Print! 09.07.12: Piece By Piece is one of Penguin Eggs Picks for September: www.ckua.org. Thanks Andy and Roddy!